SEIU United Service Workers West represents over 40,000 service workers across California. We have been on the cutting edge of building the power of low-wage workers in service industries and in leading the fight for social justice on issues such as health care, immigration and education reform. 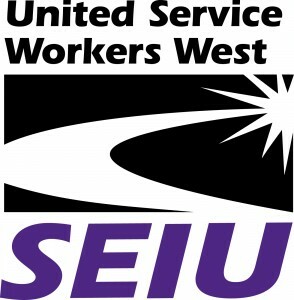 SEIU-USWW seek is current seeking candidates for the position of Northern California Regional Staff Director working out of our Alameda and San Jose Offices. The Northern California Staff Director will lead a staff team of coordinators and lead organizers, who lead staff (organizers, communicators, researchers and community/political organizers) in the planning and execution of an overall strategic plan to organize our members and member leaders around the program and vision of the Union and to organize both organized and unorganized workers in industry sectors within the union’s jurisdiction. The candidate must be able to work effectively with the Local’s executive leadership team, executive board, staff, and member organizers to develop and implement internal and external organizing plans. Send cover letter and résumé to Nina Casarez, Executive Secretary nina.casarez@seiu-usww.org.